Saved By Grace Church - Need A Lift? If you feel that your days are difficult , perhaps its because you’re trying to carry your burden alone. One day, Jesus saw us struggling down the road of life with an immense burden on our shoulders. He stopped next to us and told us to hop in His truck. Most of us heard Him say these words: “Come unto me, all ye that labour and are heavy laden, and I will give you rest. Take my yoke upon you, and learn of me; for I am meek and lowly in heart: and ye shall find rest unto your souls. 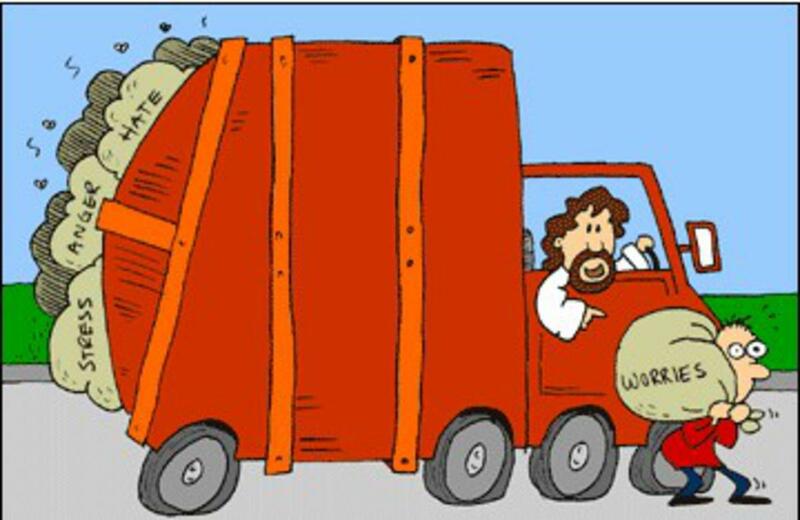 For my yoke is easy, and my burden is light.” (Matthew 11:28-30 KJV) We believed Him, so we threw our heavy burden in the back of His truck and rode away with Him. It was easy and it was a very welcome relief to have our heavy burden lifted off our shoulders. There were a few, however, who hopped in but continued to carry their heavy burden even while riding in His truck. You’re not one of them, are you? Yes, this of course is an allegory, but I trust you got the picture and you drop your heavy burden and let Jesus carry it for you, if you haven’t already.